Homeowners looking to account for unforeseen space needs often turn to bonus room house plans, as they are a flexible and affordable way to plan for the future. As the name implies, bonus room plans offer a multipurpose room that has no limitations, making the expandable house plans a great choice for anyone who wants to make sure that their family doesn’t grow out of the home too quickly. Bonus rooms are separate from bedrooms and general living spaces, so homeowners don’t have to worry about making compromises to accommodate their needs, such as giving up one of the kid’s rooms to make space for a storage area. One of the reasons these plans are so versatile is that they make use of the house’s existing layout to add the room in unobtrusively. One of the most common layouts for bonus rooms involves placing it on top of the garage, either connected to the main house on the second floor or through its own entryway in the home floor plan or the garage itself. 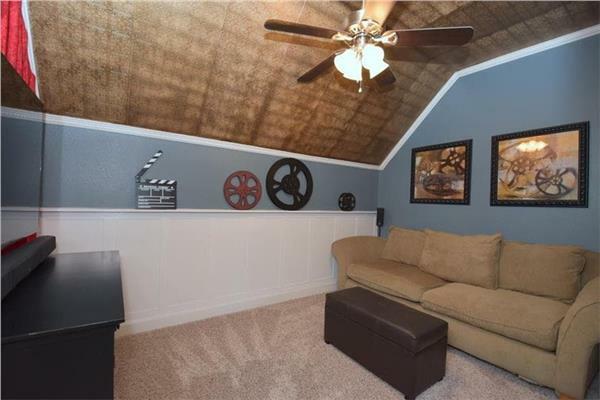 Another frequent choice is to place the bonus room within a finished basement, as this allows the owners to create larger spaces without having to deal with the complications that can come from working with a two-story home. Because the room doesn’t take away from the main floor plan of the home, it’s possible to add on or modify the extra room later on in the construction process. This works out great for homeowners with a tight budget or who are still working out the exact purpose of the room. Many homeowners choose bonus room house plans because they can turn the space into a home office, exercise space, extra bedroom(s), or playroom for the kids. Take a look through our bonus room floor plans and plan for your future needs.